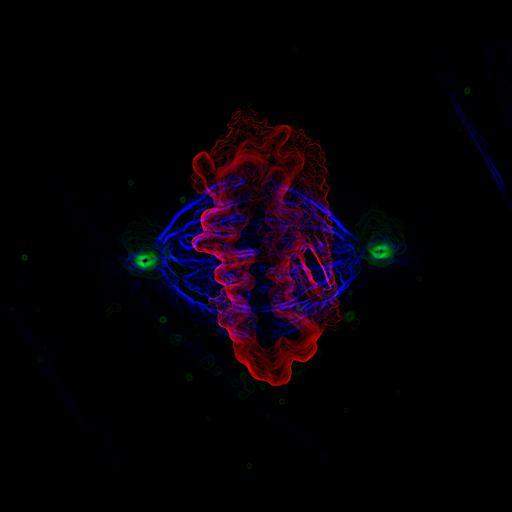 Fluorescence micrograph of a human epithelial cell in mitosis, labeled for alpha tubulin (blue), gamma tubulin (green) and DNA (red). The image was taken with a 100x objective and processed with deconvolution. Honorable Mention, 2004 Olympus BioScapes Competition.